It had taken twenty years to conceive their first child, Benjamin, but after only two and a half more years of waiting, Benny and Bren found themselves blessed with another pregnancy. “We were ecstatic as we began to think of once again ‘tackling’ the joys of parenthood,” mother Bren said. Moreover, the day the couple learned of their pregnancy– October 13th– was of particular importance. Maternal grandmother “Nanny Ellen” had just recently passed away; had she been present for the news, it would have been her 49th birthday. From the beginning, it was a very different pregnancy. Bren was much sicker with Braelin than she had been with Benjamin, but nearly everyone reassured her that “each pregnancy is different”. Furthermore, there was the strangeness of how rapidly Bren grew in comparison to Braelin’s ultrasound measurements. Early on, the Torbert family’s obstetrician ordered a triple screen due to Bren’s age and history of pregnancy. The test came back abnormal, with some serum levels higher than they should have been. 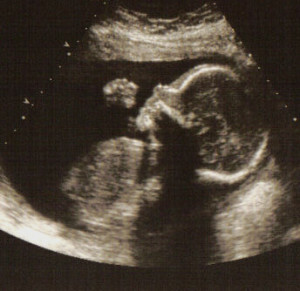 The Torbert’s OB then referred the family to a specialist who performed a high resolution ultrasound. Bren knew immediately that what she saw on the screen wasn’t right. “His bladder was extremely enlarged, and his urethra was not working… it caused his urine to ‘back up’ into his stomach. His little belly literally looked much like a basketball,” Bren remembered of that first viewing. Various “soft markers” encouraged the specialist to recommend an amnio, which the Torberts promptly accepted. In only three days, the family received the phone call that would change everything. The specialist confirmed the diagnosis of Trisomy 18– something neither Benny nor Bren had ever heard of before. Hoping to find more answers, the couple drove to Texas Children’s in Houston to see a pediatric cardiologist. Once there, the doctors performed a fetal echocardiogram, and it seemed that little Braelin’s condition had worsened. The right and left ventricles were much smaller than they should have been, and the wall between the two ventricles was missing. His oxygenated blood swirled freely with his deoxygenated blood; this, if nothing else, would prove fatal to baby Braelin upon birth. “If he’s even born alive,” the doctors added. 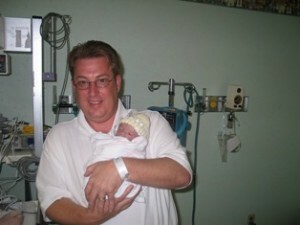 Late February and the fifth month of Bren’s pregnancy arrived, and now the doctors were recommending an “early induction”. At first, Benny and Bren thought that the procedure would be identical to what they went through with firstborn Benjamin, when ultrasound revealed that the umbilical cord had wrapped around his neck. The procedure would, in the Torbert’s understanding, deliver Braelin in good health and stop Bren’s over-accumulation of amniotic fluid. At only five months, she already had the same amount of fluid as a woman who was nine months and ready to deliver. If the fluid continued to build up as it had, Bren would likely go into preterm labor and would find it difficult to breath as her swollen tummy pressed against her lungs. When the Torberts inquired further, they were told that what they had thought would be an early delivery would instead be a termination. “As the doctor explained, I went to my computer and looked up the procedure she called “the laminaria”. I sat there numb & speechless. I knew that we didn’t have to make this a matter of prayer. We were not going to do this! My husband agreed. I must say, we have never been on a journey like the one we are on now, but we knew… this was not a pregnancy gone wrong! 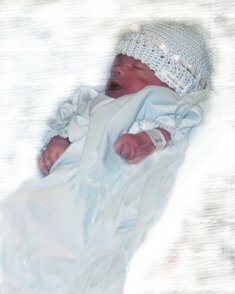 This was our baby– our little boy– and we were going to do whatever we prayerfully thought was right for him,” Bren explained. Benny and Bren told the doctors that they wanted to spend time with Braelin as a family– “life time”– regardless of the amount of time God gave them. On May 26, 2004, when the time came to deliver, both of their families, their church family where they serve as Sr. Pastor’s and many friends filled the room with tearful prayers, till the OB had prepped and was ready to perform the cesarean. Braelin was born 4 pounds, 13 ounces — and having the tinniest of cries. Immediately his heart rate began to drop. 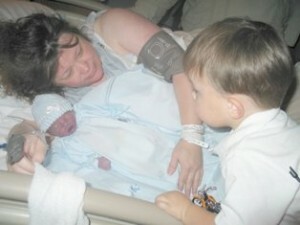 Looking into Braelin’s face for the first time was “breath-taking” for Bren and Benny– a true privilege. Braelin’s life has impacted numerous people around the world. The Torbert’s have received emails and phone calls, from people they possibly would have never encountered, had it not been for the miracle of an angel, sent to them for such a short while, they proudly call ‘their son’…that carries the name…Braelin Ellis Torbert. “Life is truly a ‘gift’ from God ~ cherish every moment, as if it were the last…and the Word of God is true… ‘life is like a vapor’…it really is”.